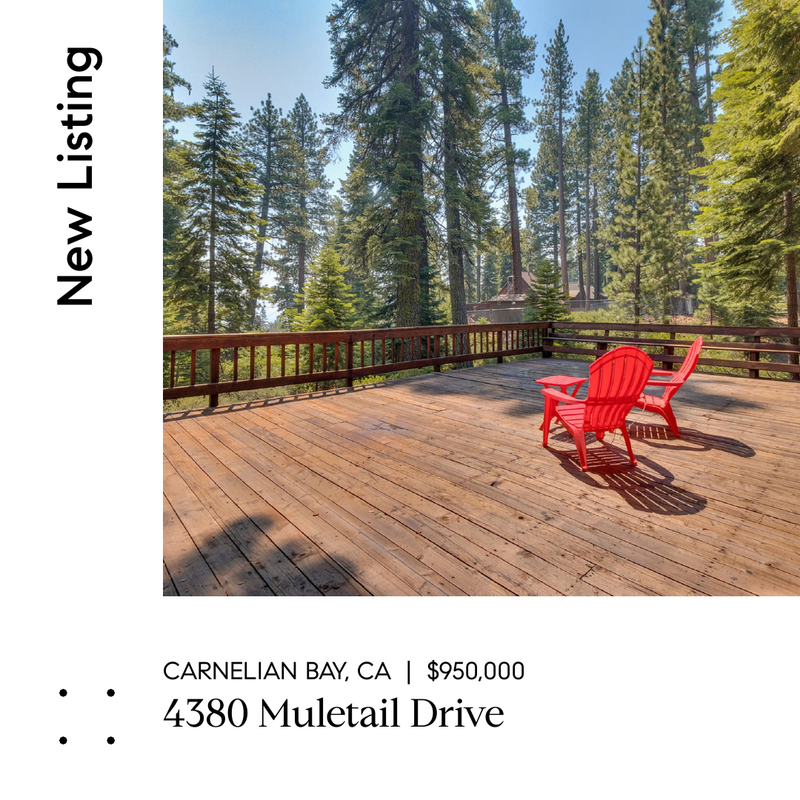 Welcome to 4380 Muletail Drive in Carnelian Bay! This charming North Lake mountain home is in close proximity to everything Lake Tahoe. Beautifully updated with 4 bedrooms, 2 baths, a lovely loft area, vaulted ceilings, rocked fireplace, hardwood floors, wood-casement windows, custom built-in closets throughout, and separate laundry room. The large, sunny front deck provides a great space for entertaining or a sanctuary to unwind. Ample privacy as you enter the extended driveway and a bonus driveway for boat parking. This home is perfectly staged for full-time living or a vacation getaway. Enjoy the outdoors with nearby recreational trail systems, biking, and cross-country skiing; making this home an exceptional year-round retreat. Contact Team Blair Tahoe for a private showing at 530.581.1400 or email us at info@teamblairtahoe.com.